Iranian Foreign Minister Javad Zarif, one of Tehran’s most public officials, announced his resignation from the hardline Iranian government in an Instagram post Monday afternoon. 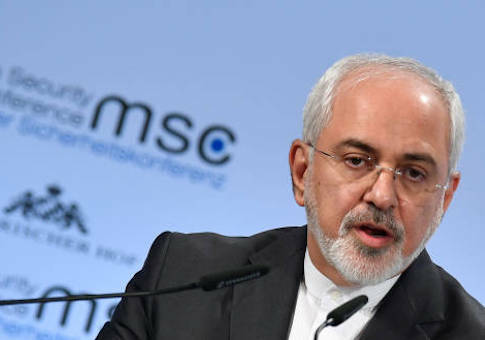 Zarif emerged on the international stage as one of Tehran’s most prolific backers and played a key role in negotiating the landmark nuclear deal with the former Obama administration. "I am apologizing to you for all the shortcomings … in the past years during my time as foreign minister," Zarif said in his Instagram post, where he enjoys "verified" status. "I thank the Iranian nation and officials." The Washington Free Beacon will update this report as more information becomes publicly available. Update 7:11 p.m.: Following publication of this article, a State Department spokesman told the Free Beacon, "We are closely monitoring reports of the resignation of Iranian Foreign Minister Zarif. We do not have further comment at this time." This entry was posted in National Security and tagged Iran, zarif. Bookmark the permalink.